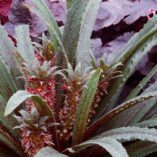 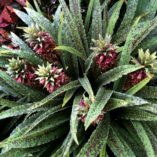 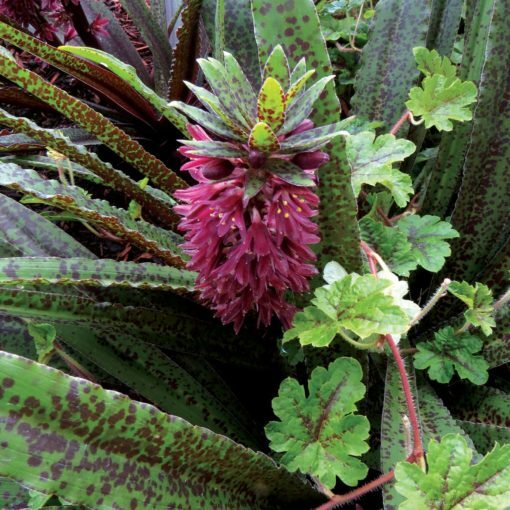 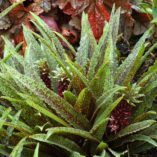 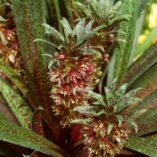 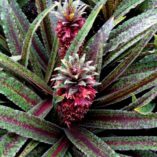 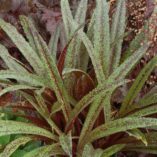 Eucomis ‘Freckles’ | TERRA NOVA® Nurseries, Inc. 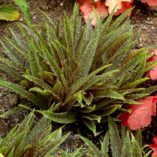 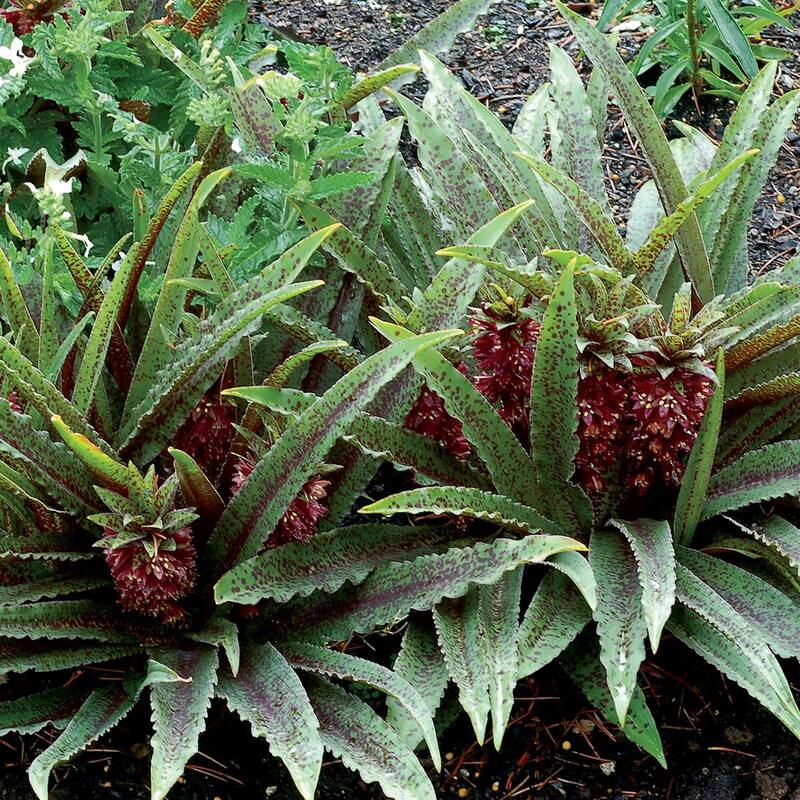 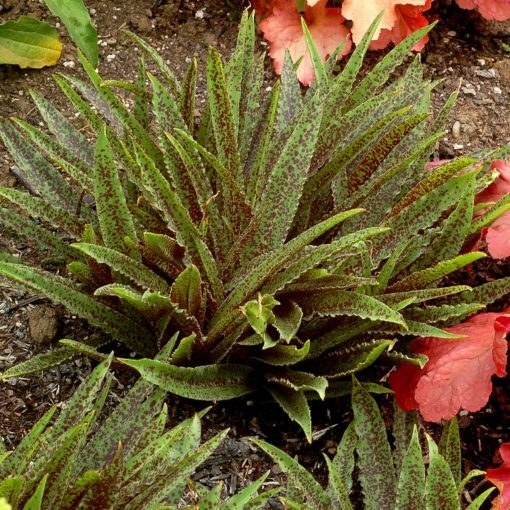 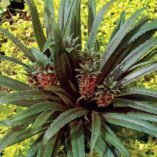 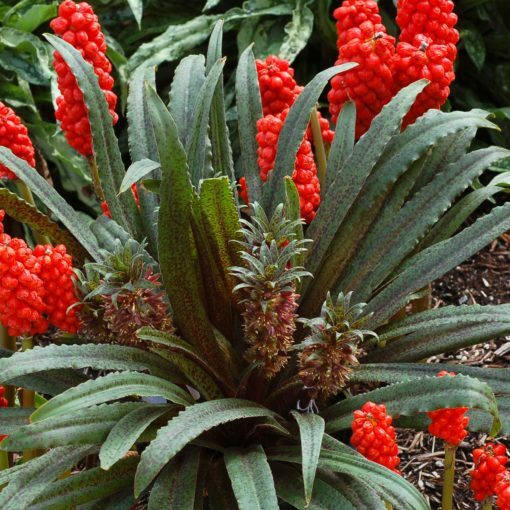 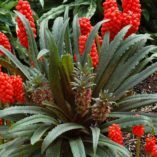 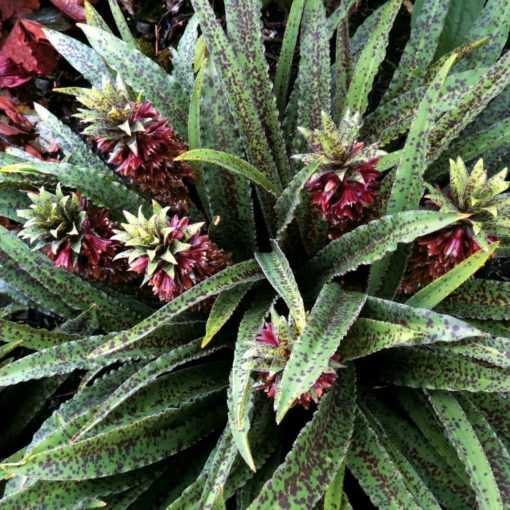 This dwarf pineapple lily has it all – a vigorously clumping habit, spotted leaves, wavy margins, and attractive rose red flowers. 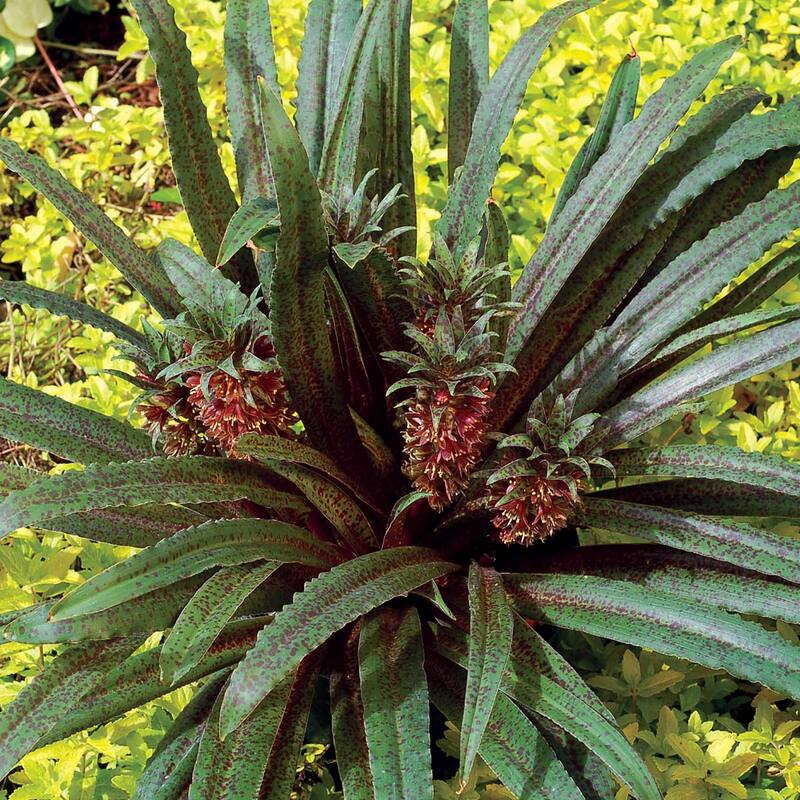 A much larger plant than E. vandermerwei. 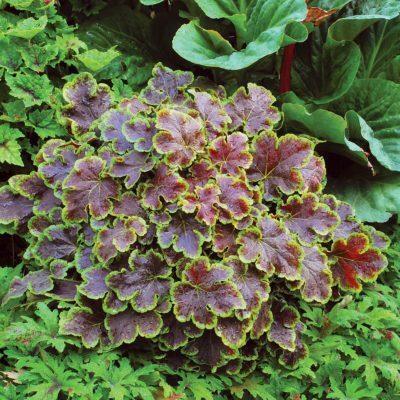 A dramatic breakthrough for those that want to have something different, yet easy to grow! 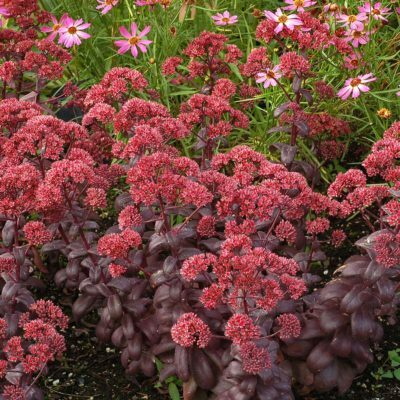 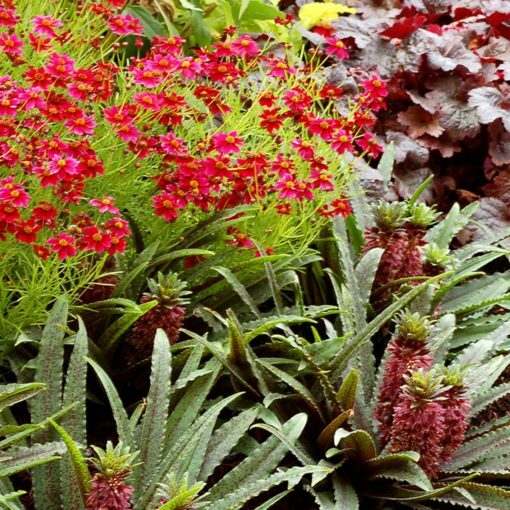 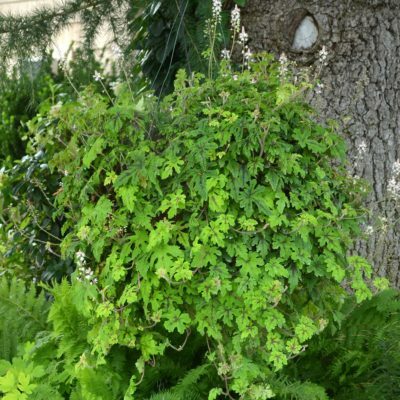 A wonderful container plant or use in front of the border and in mixed beds. 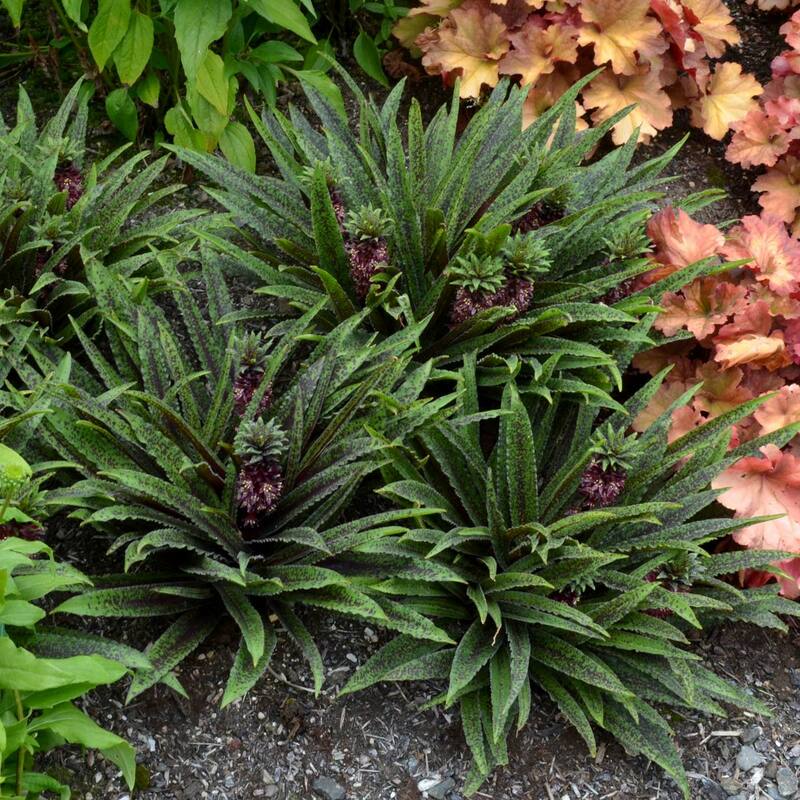 9" / 14" / 10"
It is much bigger and has many more crowns than E. vandermerwei 'Octopus'. It is an extremely well spotted form with a vigorously clumping habit and with nice rose red flowers. 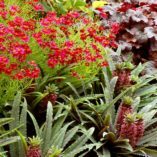 Container, border, mixed beds, edging, rock gardens. 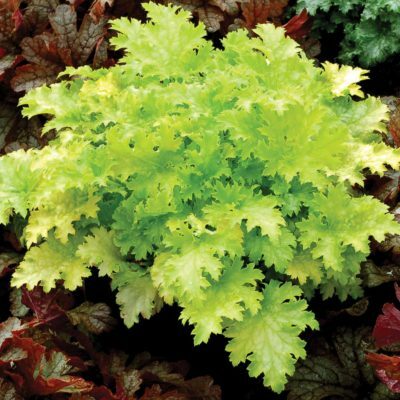 For plants grown under cover, greater uniformity can be achieved by starting forcing at 68°F-78°F until stem emergence. 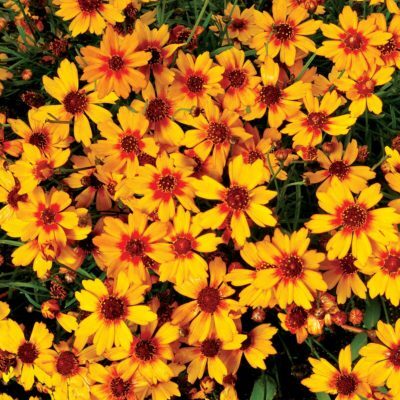 Following emergence, production temperatures of 60°F-85°F days and 50°F-65°F nights are best.